historically within a domain’s recorded history. Why do I need to check a new domain for spam? Spammers will stop at nothing to exploit and abuse domains. Don't risk buying a bad domain name that has had a history of being used for abuse by checking first with Spamsy. The average domain spam checking service pails in comparison to our deep domain historical scrubbing archives. Couple your filtering with Dometrics and you’re guaranteed to have premium dropped domain names cleaned and ready to use. Visit https://www.dometrics.net. Domain ownership is pricey and time consuming. Stop guessing and take the risks out of expired domain registration. All our spam checking servers are load balanced allowing you to check hundreds of thousands of domains quickly and easily. Stop checking your expired domains list for spam manually. Spamsy automates the entire process to ensure your domains are relevant and not spammy. 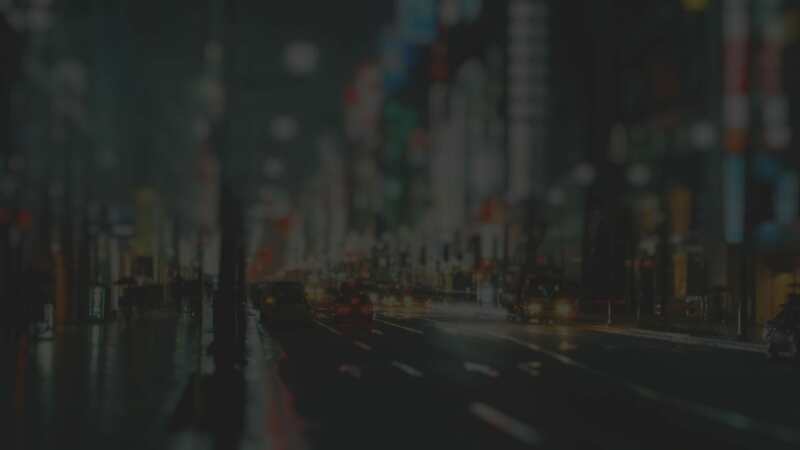 Spam Checking Expired Domains Fast Spamsy takes the headache out of spending countless hours searching for that great expired domain. For most domain vendors, they spend an enormous amount of time going through the various steps in the spam-checking process, only to realize in the end that the domains were bad apples and that their time invested in spam-checking those domains were in vain, leaving them both disappointed. Spamsy Key Features You work hard to find expired domains, now you can be sure about the quality of them with Spamsy! Nothing to install and no hardware dependencies. Just upload your list of expired domains and in a jiffy we’ll parse them for spam and give you the results. 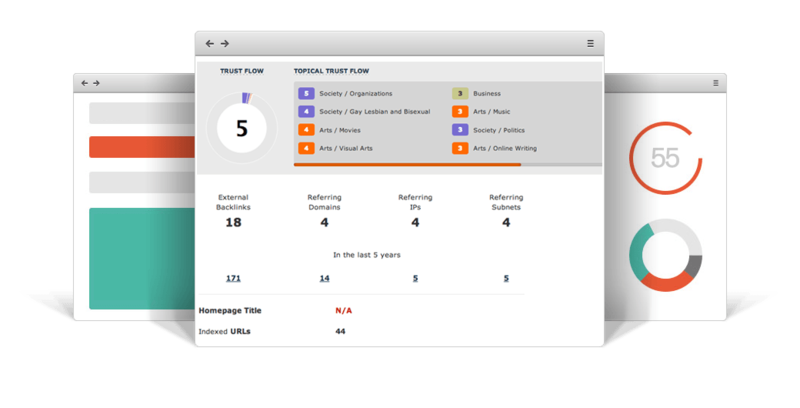 Coupled with Dometrics you can check a domain name against MOZ, Majestic, HREFS, SEOPROFILER and more, allowing you to quickly assess a domain. With multiple spam parameters available, you can check your expired domains list against as many, or as little, keywords as you like and quickly sort the results. You can also define the parameters of your historical data points, and decide how far back in time you wish to go to search a domain for possible spam usage. As a fully hosted solution you don’t have to bother with the time, headache and expense of proxies. 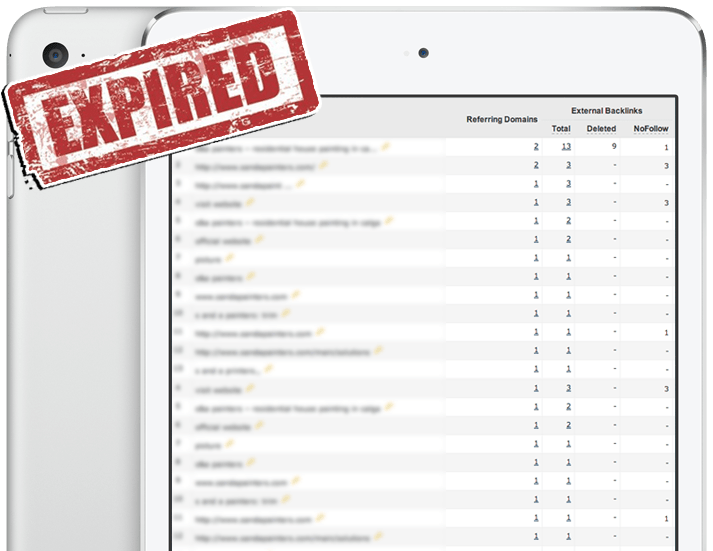 Upload your expired domains list and wait for the results. It’s that simple. The Spamsy API fully supports any number of metrics and spam parameters you can use as part of your own expired domain solution. Spamsy is the best. Spam Checker Pricing Packages Start saving time by integrating Spamsy into your spam checking process! Our monthly subscriptions are ridiculously affordable, see our plans below and choose the one that suits you best. And, bundle with Dometrics for even more features and savings! Lock-in the lowest price while it lasts! NOTE: We are in PRIVATE BETA and are accepting LIMITED SIGNUPS as a beta launch, prices offered will be available only for a very limited time. At this moment in time, we will only be accepting 10 users for the ‘LITE’ and ‘BASIC’ plans, and only be accepting 50 users for the ‘PROFESSIONAL’ and ‘ENTERPRISE’ plans on a first-come-first-served basis. Users that have locked-in their recurring subscription prices during the beta launch will be able to retain these prices in the future (as long as the subscription remains active). Prices will increase by at least 100% in the official launch, so be sure to take this opportunity while it lasts! Does Spamsy also provide domain metrics? Yes, when coupled with the Dometrics API, your domains will not only be checked for spam but also against HREFS, MOZ, Majestic and SEOProfiler. How long is your pricing good for? We’re offering a VERY LIMITED amount of new signups as part of our initial BETA launch. Act now, or pay double later. Do my usage credits roll over? No, our model is ‘use it or lose it’. Buy just what you need so you aren’t wasteful of Spamsy resources. Not at the moment, but we’re happy to help you. Just open a helpdesk ticket and we’ll cheerfully answer any question you may have about Spamsy, Dometrics and expired domains. Who should we use for hosting our expired domain? We use our own servers at the moment, since most ‘seo shared hosts’ will take on anyone that pays, which essentially relates you to that bad website. If you have quality sites that need hosting, contact us. At the moment we do, but rumor has it they will soon start revealing the real IP of the web host, which essentially renders all the domains you have on that ip as related to one another. We have our own solution as a Cloudflare alternative, contact us if you want to know more about it. All sales are final. If you aren’t serious about clean, spam free expired domains then don’t place an order with us. Is there anything else I should know about expired domains? If you’re at this site then you already know the power and value of expired domains with clean, powerful metrics and you should keep snatching them up as quickly as possible. Become more Efficient in the Spam-Checking Process Helping domain buyers save a significant amount of time by spam-checking process. Thus, improving the overall quality of domains provided and purchased. Got Questions? Contact Us. Send an email and we'll glad to help. Copyright © 2016 Spamsy. Powered by Creationshop Affiliate and eCommerce.